To help those planning to host a Lights of the Lakes show, an archive of past publicity materials has been placed online for easy access. If you are wondering about how to promote the event, these materials created by others may be a useful source of ideas. 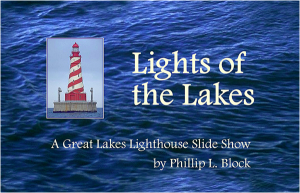 Several sample lighthouse photos from the show are also included, which you can use, subject to copyright compliance.